Welcome to another Top Ten Things, here at Enuffa.com! The film that put Oliver Stone on the map, Platoon is loosely based on Stone's own experiences as a young man who volunteered to fight in Vietnam and got a whole lot more than he bargained for. 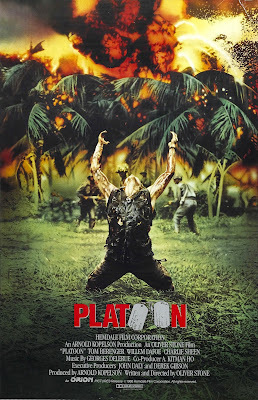 Platoon covers in horrifyingly grim detail the disorientation of battle, the torturous strain of everyday combat duty, the hopelessness and isolation of the jungle. This slice-of-life story is punctuated by a power struggle between the unit's two senior officers, one played with a sense of unqualified decency by Willem Dafoe, the other with hard-boiled menace by Tom Berenger. Their conflict serves as the catalyst for the main character's (Charlie Sheen) transformation from wide-eyed rookie to calloused warrior. Stone's unforgiving look at the true horrors of war won numerous Oscars and catapulted director and lead actor to tremendously successful careers. 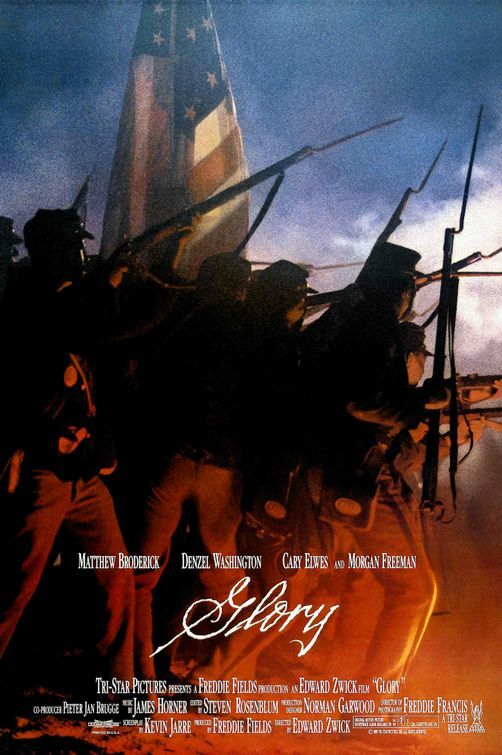 Matthew Broderick starred as Col. Robert Gould Shaw in Edward Zwick's powerful 1989 account of the first black regiment in US military history. The film was based in part on Shaw's frequent correspondence during his time in the military, and painstakingly recreated the arduous training and harsh conditions the Massachusetts 54th were subjected to. After months of not being taken seriously as soldiers (and receiving unequal pay), the 54th demonstrated extraordinary bravery in a doomed suicide mission to take Fort Wagner, during which Shaw and roughly half of his men were cut down. The tales of the 54th's grit eventually led to the Union Army accepting 180,000 black volunteers and helped turn the tide of the Civil War. This potent war epic also featured performances by Morgan Freeman (in a pre-typecast but very Morgan Freeman-esque role), Andre Braugher, and a star-making Denzel Washington turn as a resentful, emotionally damaged former slave, for which Washington won his first Oscar. Generally considered The Marx Brothers' best and most irreverent comedy, Duck Soup concerns the conflict between two fictional nations, Freedonia and Sylvania. Sylvania's Ambassador Trentino has hatched a plot to take over Freedonia and marry the country's chief financial benefactor Mrs. Teasdale, while Freedonia's leader Rufus T. Firefly (played by Groucho) attempts to bait Trentino into a physical confrontation so he can force him out of the country. The various hijinx lead to a full-scale war, and the battle scenes (along with the famous and amazingly hilarious "mirror scene") are the stuff of comedy legend. 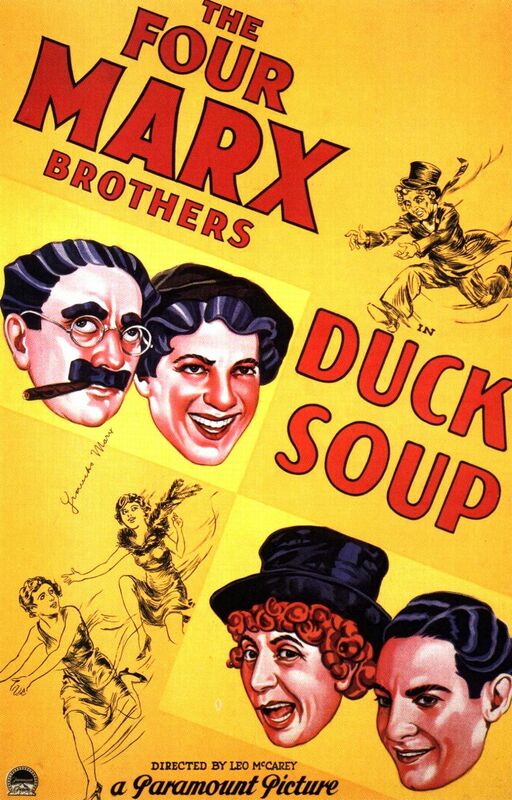 Duck Soup lampoons the very notions of nationalism and political bluster, and was so derisive it actually turned off Depression Era audiences and threatened to derail the Brothers' careers. The film surged in popularity in the 60s however, as anti-war sentiment swept the nation, and has since been hailed as an unmitigated classic. 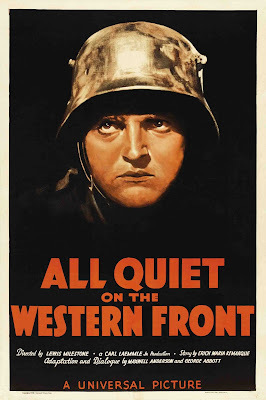 Lewis Milestone's 1930 adaptation of the controversial anti-war novel tells of a group of German teenagers who are goaded by their propagandizing teacher into enlisting to fight in The Great War. They enter into this arrangement assuming battle will be an exciting adventure and they'll all return as heroes. Of course the reality of the war is quite different, and after being sent to the front with inadequate training the boys are subjected to near starvation, crippling isolation, and the horrific futility of trench warfare. By the end of the film the characters who remain alive now feel nothing for the lives they led pre-war, and their participation in battle is cruelly insignificant. 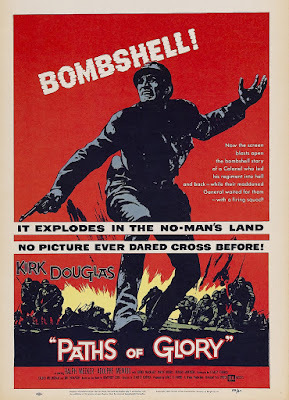 This pre-Hays Code film was decades ahead of its time and featured incredibly visceral battle sequences (Spielberg cited this film as a major influence when shooting Saving Private Ryan) and a viciously honest take on the physical and psychological horrors of war. All Quiet was heavily censored in the US upon re-release, and banned outright in Germany by the Nazi party. Arguably Stanley Kubrick's first great film, Paths of Glory is a scathing anti-war piece based loosely on true events that transpired in France during World War I. During a key, fruitless campaign to take a fortified German position the French unit takes heavy casualties before eventually retreating. The commanding General (George Macready), having been offered a promotion if the attack succeeded, is furious and orders three members of the platoon tried for cowardice, under penalty of death. The platoon's commanding officer, Colonel Dax (Kirk Douglas) volunteers to be the defense attorney, and the ensuing court-martial is flagrantly little more than a formality; the General staff has already made up its mind that the three defendants will be made an example. The film's scornful depiction of French officers led to its not being distributed in France until 1975, and it remains an uncompromising indictment of war practices and the exploitation of the soldier. For me this was the earliest of Kubrick's films to really show off his visual style, and the first time Kubrick took a brutally frank stance on a social issue, laying the groundwork for the uncompromising auteur he would soon become. Oliver Stone's second Vietnam-related film tells with unyielding frankness the true story of Ron Kovic, a Long Island native who volunteered to serve in Vietnam and was wounded in action, leaving him paralyzed from the chest down. Tom Cruise delivers a stunning performance as Kovic, brilliantly conveying his naive patriotism as a high schooler wanting to do something great for his country, and later his anger and disillusionment after experiencing the evils of this unnecessary war and the shabby treatment of returning vets. Where Platoon served as Stone's semi-autobiographical war diary simply designed to show us what Vietnam was like, Born on the Fourth of July gives us an adamantly clear position on the war and its long-term effect on those who endured it. Chronicling with utmost sincerity the journey of this veteran-turned-activist, Stone has magnificently translated Kovic's harrowing story for the screen and crafted what is for me the greatest of all anti-war films. Legendary German director Werner Herzog delivered what is, in my opinion, the best film of his long career with Rescue Dawn, the true story of German-American Vietnam pilot Dieter Dengler whose plane was shot down near Laos in 1966, leading to his capture and imprisonment. Dengler spent months in a camp with little food before finally escaping through the jungle and being rescued by his unit. 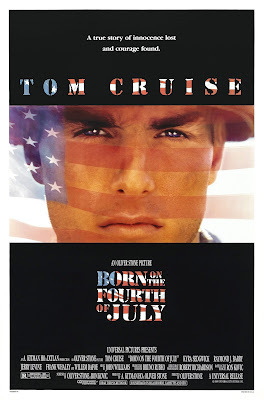 Christian Bale once again altered his physical appearance for the role, shedding significant weight to play the near-starved pilot, and adding another spectacular performance to his already impressive career. Other standouts include Steve Zahn and Jeremy Davies as fellow American prisoners. Both characters have spent ungodly amounts of time in the prison camp and are clinging tenuously to their last shreds of sanity, while Dengler attempts to remain optimistic and engineer their escape. Herzog as usual makes use of real locations in order to immerse the audience in the story; the film was shot in the Thai jungle, enhancing its authenticity and allowing us to fully appreciate the oppressiveness of the setting, while simultaneously providing a staggeringly picturesque backdrop. 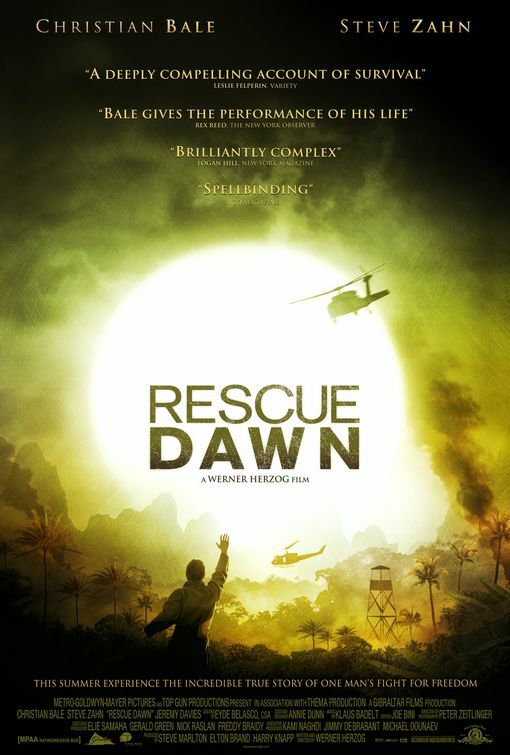 Herzog's films strive for palpable realism and with Rescue Dawn we are plunged into the worst hell on earth, suffering along with Dieter, experiencing his disorientation, his dread, his isolation, and ultimately his triumph. This fictional retconning of the end of World War II involves a small band of Jewish-American soldiers who go on a Nazi-hunting crusade across occupied Europe. 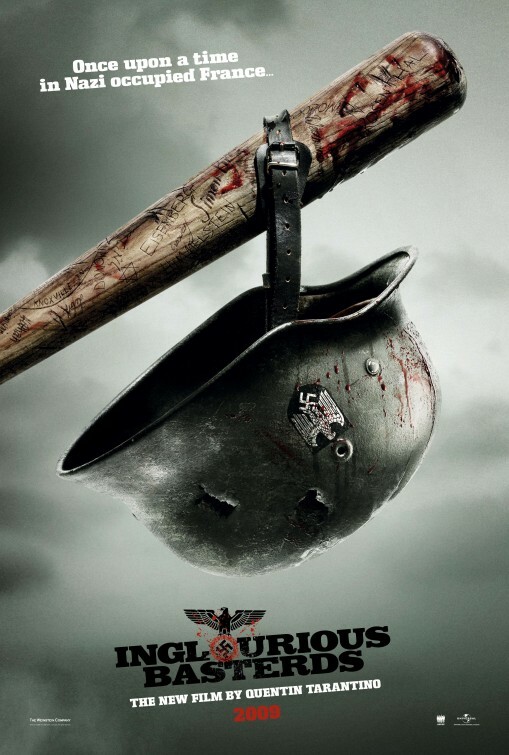 Led by Lt. Aldo Raine (Brad Pitt), the Basterds wreak havoc on the Nazis and eventually rendezvous with the British, hatching a plan to destroy the entire Third Reich at a propaganda film premiere. The story is divided into five sections, each dealing with the various involved parties, from Raine's crew to the Jewish-French moviehouse owner Shoshanna Dreyfus, to the delightfully evil Nazi Col. Hans Landa, played to sinister perfection by Christoph Waltz. The assorted narrative threads interweave and build to an explosive, trademark Tarantino climax that takes some extreme historic liberties while bringing the film (and the war) to a satisfyingly righteous conclusion. Tarantino's writing is brilliant as always, subtly piling on tension in every scene as characters engage in small talk, eschewing the larger situation at hand. Inglourious Basterds is almost a Western disguised as a World War II picture, written and directed with a degree of twisted jubilation only Quentin Tarantino possesses. Spielberg's stunningly realized war epic managed to so thoroughly capture what it must have been like for the brave soldiers who stormed the beach at Normandy, the battle scenes almost play out like a documentary. This film pulls no punches in depicting the horrors those thousands of young men endured on D-Day, as well as the seclusion and adversity they faced daily. 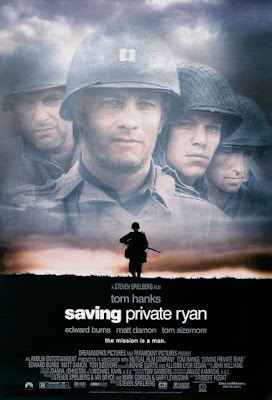 Loosely based on the case of the Niland brothers, SPR follows a small squad of soldiers across war-torn France in search of the lone surviving Ryan brother so he can be sent home. Tom Hanks leads a stellar cast including Tom Sizemore, Ed Burns, Jeremy Davies, Giovanni Ribisi, and Matt Damon as the title character. Once again, in addition to spectacularly realized scenes of violence, Spielberg provides us with a host of relatable characters who give the battle scenes weight and meaning. By the end of this extraordinary film we are wrung out, emotionally exhausted, and horrified (Hell, that was the case after the opening sequence!). 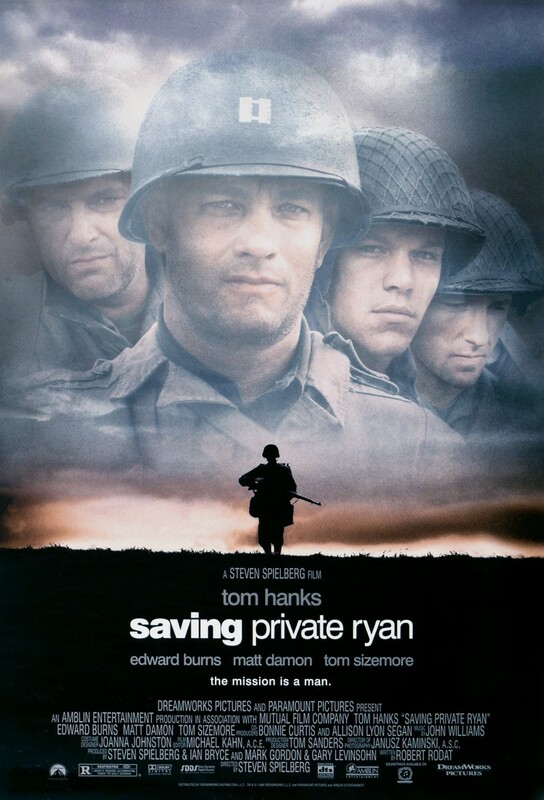 Saving Private Ryan is one of the most expertly crafted, visceral cinematic experiences ever put to film, and it rendered obsolete just about every war movie that followed it. In my opinion the greatest war film of all time is Francis Ford Coppola's troubled masterpiece; the simple tale about an American officer traveling up a Vietnamese river to kill a rogue Colonel resonates on such a deep level because it's about so much more than it seems. Coppola's adaptation of Joseph Conrad's Heart of Darkness was such an infamously chaotic production it's miraculous the film got finished at all. But amid all the turmoil Coppola assembled an epic parable about humanity's unwillingness to face the horrific truth about itself. What Captain Willard finds at the end of the river is not a neatly packaged set of answers, but a terrible realization - that man is barbaric, ruthless, violent. Marlon Brando's off-the-cuff performance lent itself perfectly to the pandemonium in which the Kurtz character surrounded himself. A tidily scripted performance would've been the wrong type of reveal for that buildup. Instead Willard finds a man barely clinging to sanity, who just wants to be put down like a rabid animal. 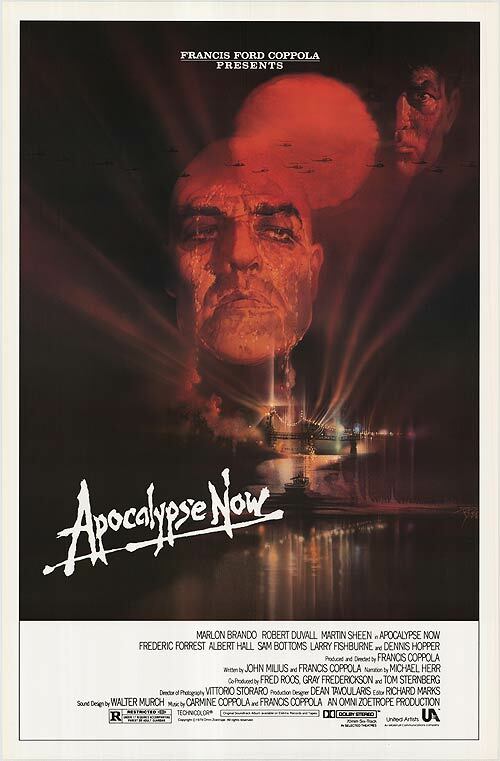 Apocalypse Now has endured as a classic for decades in a way other war movies can't. It eschews the traditional cinematic war tropes and instead concerns itself with the ugliness inside us all, and the need to pluck it out of ourselves before it consumes us. Ironically the film's insistence on not being a "war picture" is what makes it the greatest war film of them all. That's all for today's Top Ten Things - comment below with your favorite war films, and thanks for reading! 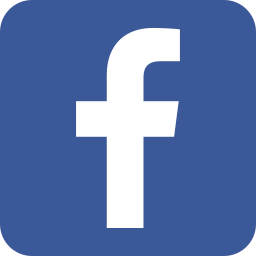 Join us on Twitter, MeWe, Facebook and YouTube!